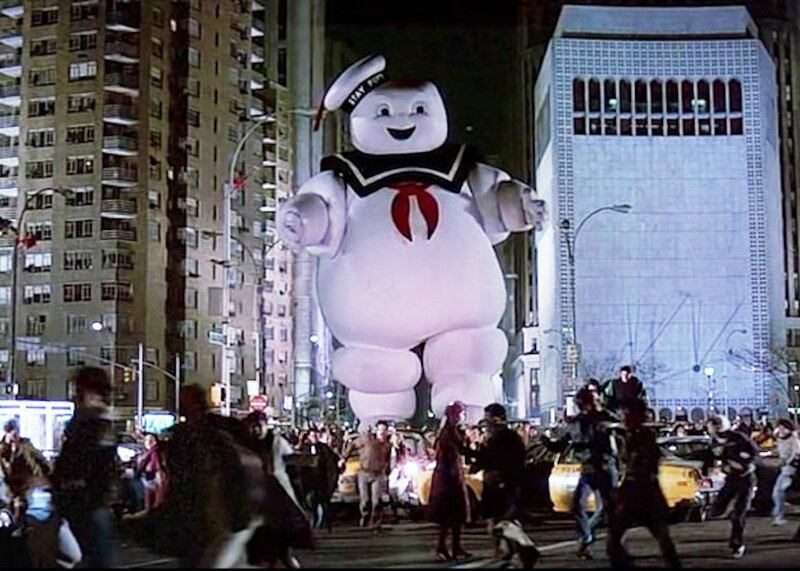 Alien Explorations: Mr Stay Puft Marshmallow Man from Ghostbusters references the Henu Barque? 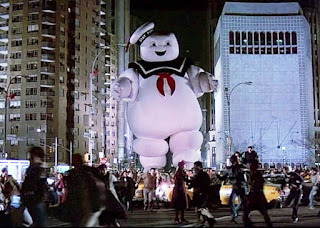 Mr Stay Puft Marshmallow Man from Ghostbusters references the Henu Barque? Questions about whether the white pillow like pile of sand started transforming into marshmallow in someone's mind when they were looking for a manifestation of Gozer the Gozerian for Ghostbusters ( merging with the Pilsbury Doughboy and the Michelin Man). 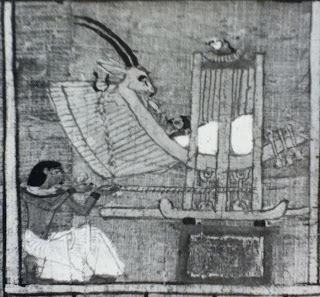 Looking through images from the Egyptian Book of the Dead would have not been out of the question after considering the intricate ideas that they were exploring for the film, although Gozer in this film was a Sumerican god. 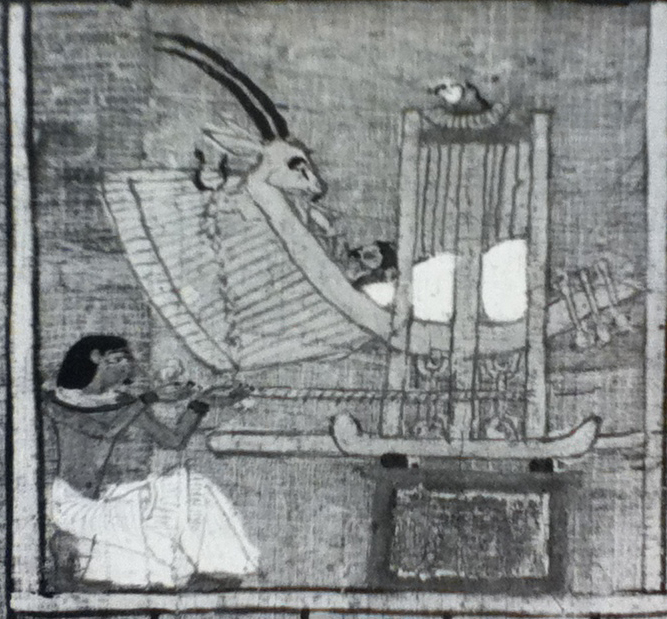 The horns perhaps would become the ribbon hanging from the sailor hat or perhaps the tipped hat in general, but looking for what happened and where in that way could be complicated.